Aston Villa welcomed reasonably high flying Nottingham Forest to Villa Park for Wednesday evening’s Championship action and we were looking to close the gap on the Play-Off spots and hopefully register four back to back wins. With both sides sharing five goals apiece in the ten goal score draw, I’m not sure what emotion would’ve ranked higher in the game. The spirit to fight back twice and from two goals down to almost take the win, or the frustration and deep disappointment at conceding five goals from Forest’s five chances on target. 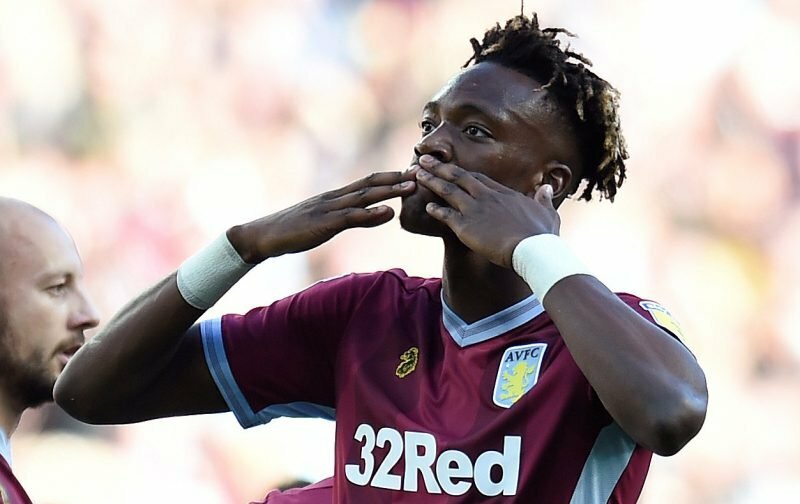 Whoscored ranked both teams well from the encounter, but Tammy Abraham took the star man award with a straight 10.00 rating immediately post-game given his four goals on the day. Yannick Bolasie (7.90), Jack Grealish (7.56), Conor Hourihane (7.13) and second half substitute Anwar El Ghazi (7.05) completed our top five performers on the day but John McGinn also received a 7+ rating for his efforts. Everyone else was 6+ other than goalkeeper Orjan Nyland as it was again a night to forget for our summer signing and it seems more and more likely he’s just not going to get himself up and running at the club given how quickly his confidence got shot earlier in the season, yet we couldn’t give him a break to recover.